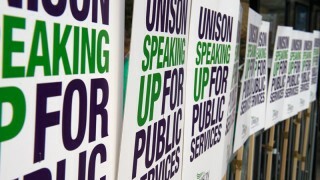 As we approach the “crisis point” of 29 March, UNISON has three major Brexit concerns, general secretary Dave Prentis told today’s meeting of the union’s national executive council in London. no hard border in Ireland. 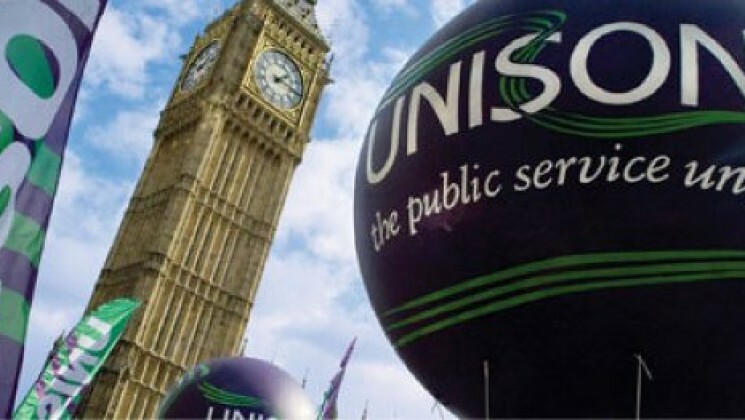 On trade, the general secretary pointed out that the key public services provided by UNISON’s members are funded by taxation and require a strong economy. And on Northern Ireland that UNISON has been very much involved in the Good Friday Agreement, “the peace agreement,” and it is key for us. “The backstop in place now is the best protection for the Good Friday Agreement,” he added. “These are big issues. Our concern is that by accident we could be falling off a cliff,” come the end of next month, he stressed. Mr Prentis also reported issues where the union had a real impact, such as the government withdrawing the £65 fee for EU citizens who live in the UK, including tens of thousands of UNISON members, to claim “settled status”. But there are other areas where the union needs to build and improve on the work it has done so far. These include work to tackle the rise in racism since Brexit and the Windrush scandal – “we are committed to fighting racism as a priority,” he declared. The NEC also welcomed the government’s decision to backtrack on making the two-child limit for tax credits and universal credit retroactive, but agreed that that step is not enough and the cap needs to be ended completely. 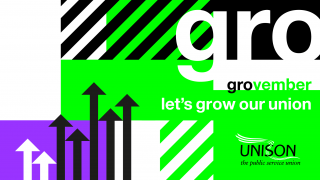 UNISON is urging members and others to sign a petition calling for the two-child limit to be scrapped at petition.parliament.uk/petitions/233887. Turning to the international scene, the NEC adopted a statement on Venezuela, calling “on the government to promote dialogue to foster a peaceful solution instead of stoking tensions as a way to resolve the Venezuelan crisis”. The meeting opened with messages of solidarity with all members involved in industrial action, particularly those in long-term ongoing disputes: the Birmingham care and Camden traffic management members. 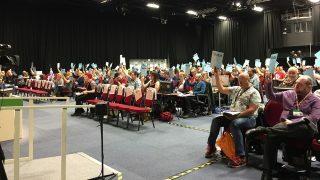 The other main business of the meeting was starting preparations for June’s national delegate conference in Liverpool and received an initial report on plans for the event so far. progressive taxes to end austerity. It will also ask NDC to approve rule changes affecting rule G on branch officers, rule G on branch meetings, rule G on branch secretary’s duties, schedules B and C on members’ benefits, schedule C on membership. The NEC also agreed the union’s draft management accounts for 2018.